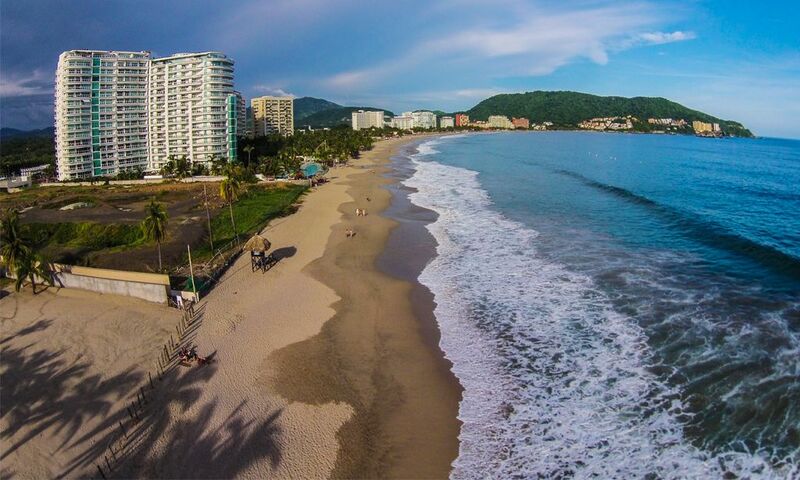 Comprised of two contrasting cities Ixtapa-Zihuatanejo is one of the beach resorts of the Costa Grande in the state of Guerrero and is part of the well-known tourist route, Triangle of the Sun (Acapulco, Taxco, and Ixtapa - Zihuatanejo). Zihuatanejo reflects the traditional Mexican town as it preserves the magic and color of its old buildings and cobblestone streets. Part of its attractions center around its picturesque beaches. Bring your snorkeling gear to Playa de las Gatas and from there take a boat to the submerged sculpture of Christ called Cristo Sumergido. Then there is the beach, Playa Principal, where every morning fishermen return from the sea to sell the fish of the day. The town offers a perfect setting for a walk by the sea on its boardwalk Paseo del Pescador that extends from the Municipal Pier to the Archaeological Museum with craft shops and restaurants along the way. In the bay you can watch as approximately 60 cruise ships from Mexico and around the world stop here every year. Ixtapa has a large hotel infrastructure reflecting its modern personality. It is here in Ixtapa where prestigious hotels are built as well as the most exclusive residential developments in the surrounding area. Among its tourist attractions and facilities include the Ixtapa Delfiniti Dolphinarium, Magic World Water Park, golf courses, and the beautiful islands of Isla Grande and Isla Ixtapa where you can go diving, snorkeling, kayaking, jet skiing, and ride on the water tricycle or banana boat or just simply take a relaxing stroll along the beach. Ixtapa-Zihuatanejo offers traditional dishes prepared with fish and seafood from fish sticks and traditional ceviche to the finest international cuisine. Getting There Only 15 minutes from downtown Zihuatanejo is the Ixtapa-Zihuatanejo International Airport which receives flights from major cities in Mexico, USA, and Canada. By car take the highway, Autopista del Sol (Mexico City-Cuernavaca-Acapulco) and turn off at Zihuatanejo onto the Carretera Nacional 200 Nte. The bus terminal is used by both national and foreign bus companies. Mexico City, Federal District: 485 km. 653 km! Colima, Colima: 470 km. Heroica Puebla de Zaragoza, Puebla: 662 km. Monterrey, Nuevo Leon: 1,165 km. Puerto Vallarta, Jalisco: 715 km. 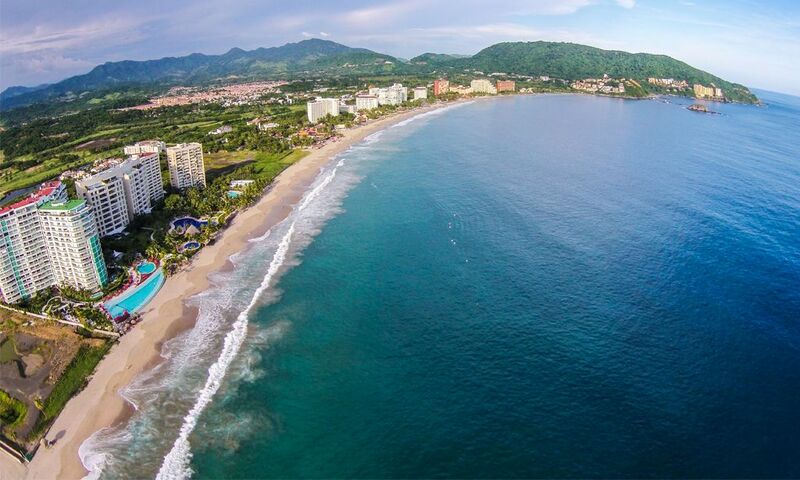 The average annual temperature in Ixtapa-Zihuatanejo is a low of 21 degrees and a high of 32°C. Being a beach destination it is recommended to bring a swimsuit, shorts, light shirts, sandals, sunglasses, flip flops, sunscreen, insect repellent, and a hat. Pack dress clothes in case you are planning a night on the town at a restaurant or nightclub. Water Activities: Kayaking, jet skiing, diving, snorkeling, water skiing, surfing, windsurfing, sailing, catamaran, skimboarding, and sport fishing in the Ixtapa-Zihuatanejo beaches of Playa Troncones, Playa el Palmar, Playa Las Gatas, Playa Larga, Playa La Madera, Playa La Ropa, and Playa Principal. Bird watching, turtle watching. Crocodile Farm at the Popoyote Lagoon. Ecological parks: El Refugio de Potosi Ecological Park (Playa Blanca), Bio Park La Escollera, Adventure Park, Eco Park Resort Chanequera at Playa Larga . Archaeological Museum of the Costa Grande. "Cristo Sumergido" submerged statue of Jesus Christ (Playa de las Gatas). Ixtapa Delfiniti Dolphinarium, Magic World Aquatic Park, Adventours (Adventure on the Island). 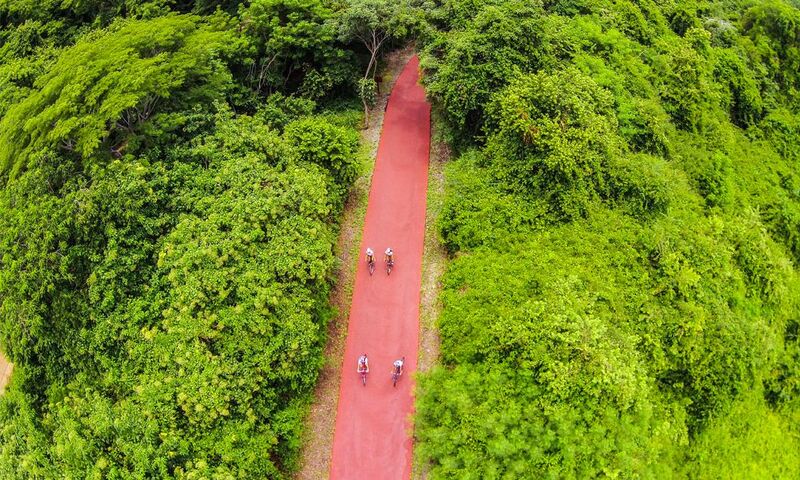 Ixtapa Rv Park & ​​Camping, Bicycle Path of Ixtapa and Zihuatanejo. Palma Real Golf Courses, Marina Ixtapa, Golfito Ixtapa. Central Market of Zihuatanejo, Art Galleries, craft shops. January 1 to February 1: Festival of Arts, Culture and Tradition. January: Sea and Earth Feasts. February 13 to 20: Ixtapa - Zihuatanejo Carnival Party. April 1: Body Surfing Tournament. May: Governor's Cup Golf Tournament, International Tournament of Sailfish, Triathlon. September: Ixtapa Triathlon, Karma Surf Tournament. September 15 and 16: Mexican Independence Day. November: Fishing Tournament "Torneo Etiquetar y Solar". November 1 and 2: Day of the Dead. 23 to 30 November: International Film Festival of Acapulco. November 29 to December 2: Sun & Fun Festival. November 30 - December 2: Moto Fest. December 1 and 2: Swimming Across Zihuatanejo Bay. December 3 and 4: Rocco Surfer Meeting. December 10 and 11: Children's Surf Tournament. December 12: Day of the Virgen de Guadalupe. December 30: Performance Boats Fishing Tournament.